This two bedroom/two bathroom "E" style layout is located on the ground floor of the premier Tamarack Club. Ground floor access gives you walk-out ability to the slopes/golf course, and an extended patio area! 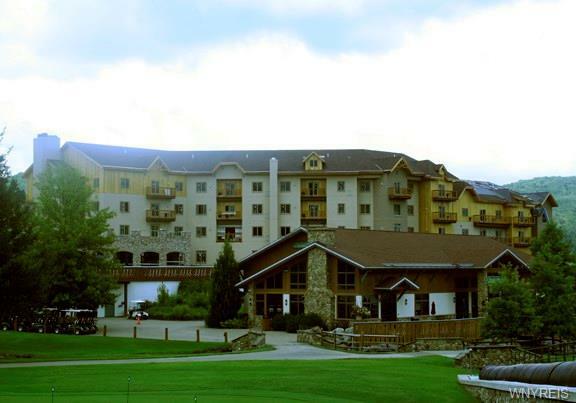 Amazing amenities included are year 'round access to the heated indoor/outdoor pool, two hot tubs, fitness room, private owner locker room, valet parking, underground parking while lodging overnight, discounted ski tickets/golfing, and so much more! Directions To Property: Rte. 219 To Holiday Valley Road. Tamarack Club Is On The Left.